Crowds of New Yorkers and visitors cheered as 30,000 lights burst into color on the 88-foot-high Norway Spruce, officially kicking off the holiday season. 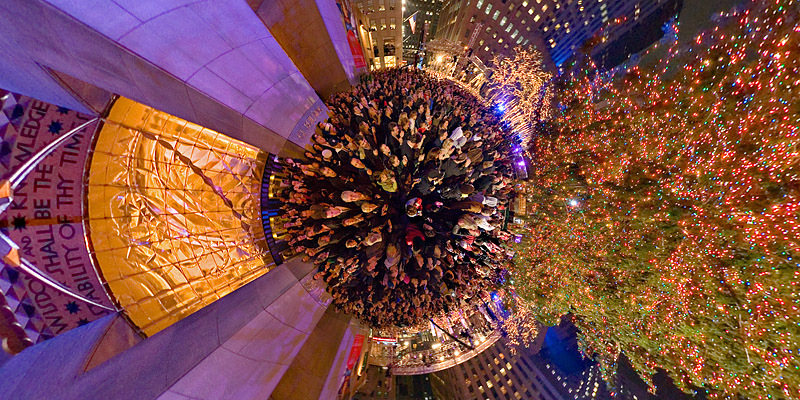 Click on photo to explore the 360° spherical panorama. Requires QuickTime. Click here for Java Viewer Version.